It’s a new year and a fresh start! For those of you doing Weight Watchers, I’m right there with you and what I love most is that I don’t necessarily have to give up dessert! 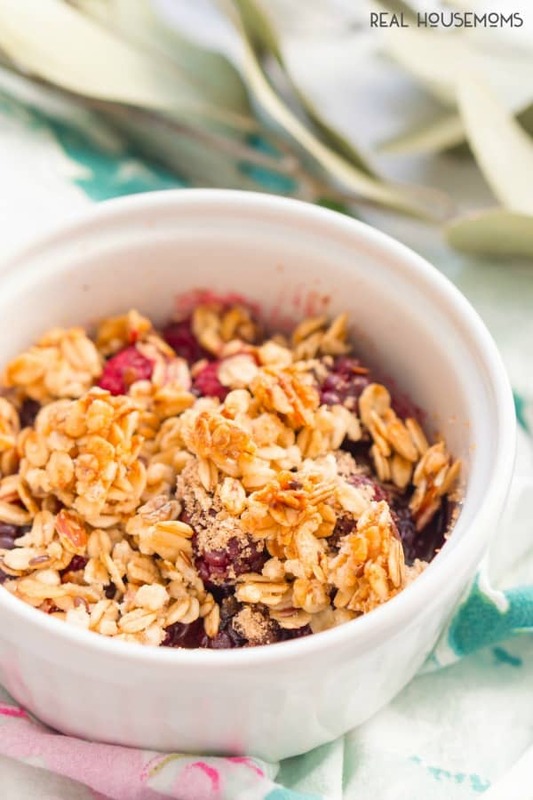 This Weight Watchers Berry Crisp is the perfect dessert for one when you’re craving something a little sweet but don’t want to use up a ton of points! The holidays are behind us and I’m sure we’re all thinking “I shouldn’t have eaten so much fudge” and probably could have managed with a few less mimosas. But what’s done is done, amiright? 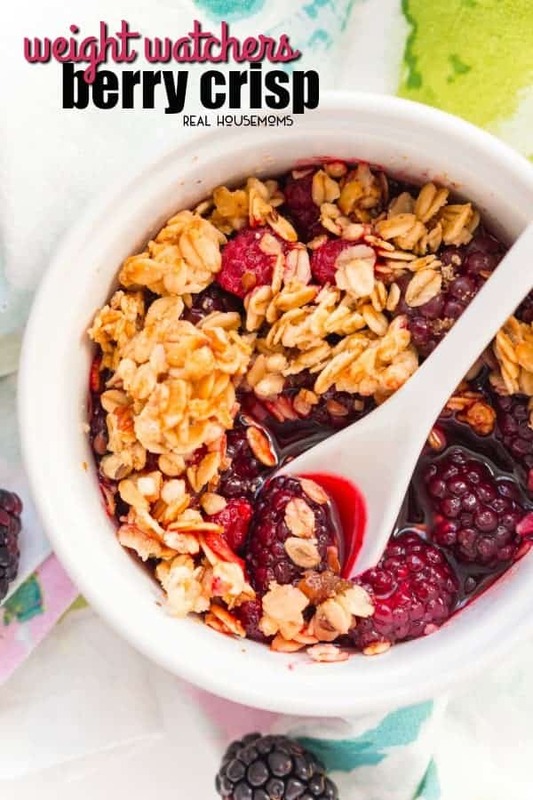 But this Weight Watchers Berry Crisp is a delicious and easy dessert you don’t have to feel guilty about indulging in! I’ve always love fruity desserts: pies, cobblers, crisps, you name it! This quick, 5-ingredient dessert hits all the spots of those old favorites but with way less calories. The recipe is made with fresh berries and sweetened with a touch of brown sugar and a hint of cinnamon. It’s finished off with a crisp topping made of low-fat granola. 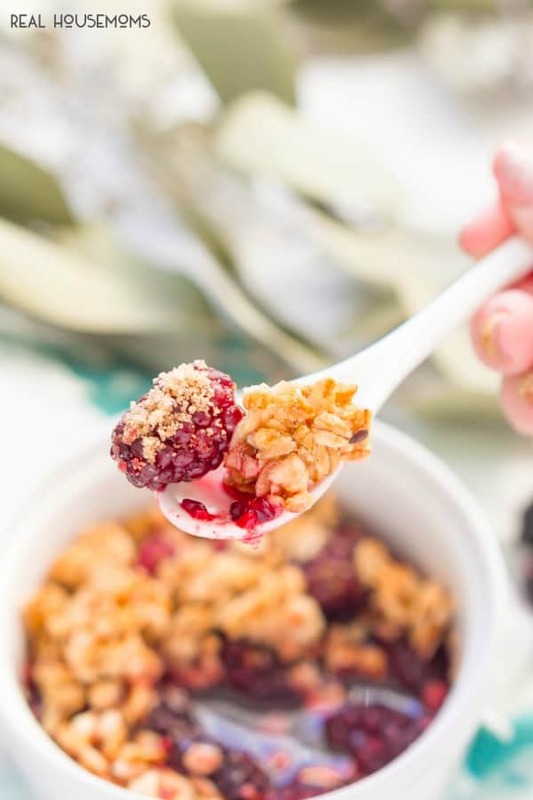 The SmartPoints value for this Weight Watchers Berry Crisp For One should be 3 points, but be sure to add things up in your WW calculator since granola values can vary greatly. This simple dessert is a tasty follow-up to this yummy baked pork chops recipe for a whole meal even those in the family not doing Weight Watchers will love! Want more berry dessert recipes? Ramekin: Perfect for individual desserts and breakfasts, this ramekin will make everyone feel extra special and cared for at your dinner table! Preheat oven to 400 degrees F and spray an 8 oz. ramekin with cooking spray. Add berries, brown sugar, and cinnamon to the ramekin and stir to combine. 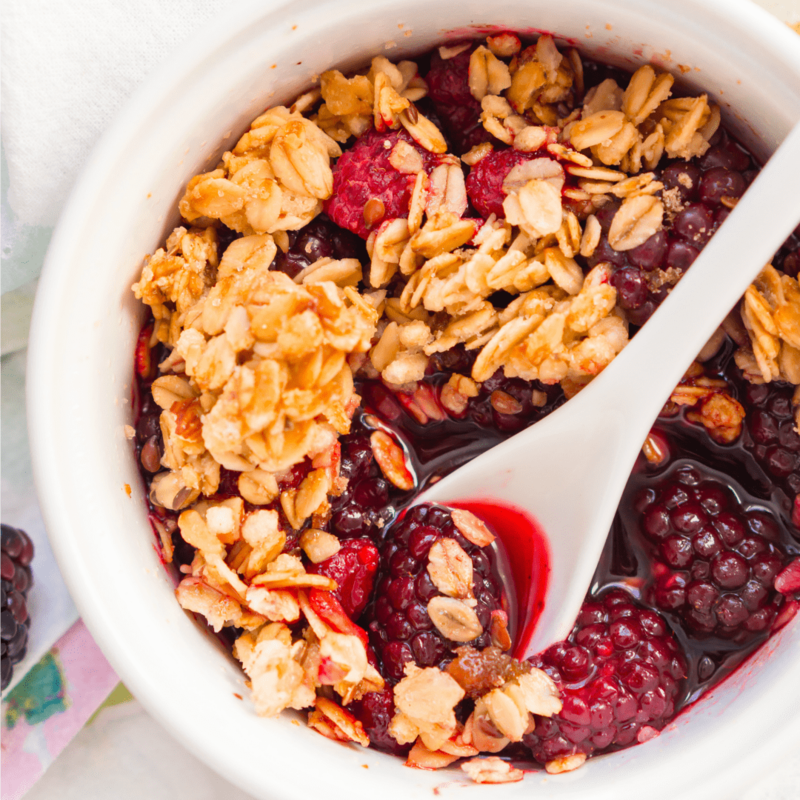 Sprinkle the berry mixture with the granola cereal. Feel free to substitute with your favorite berries, just make sure the total amount of berries is 1/2 cup.